Add salt, tamarind, tomatoes, green chilies according to taste to 3-liter water and boil. 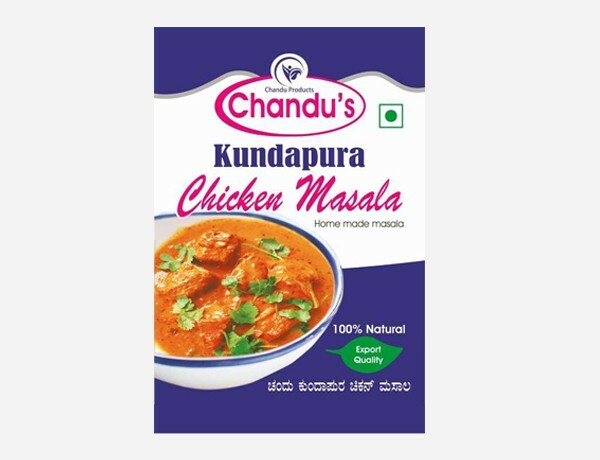 Add 100 gms Chandu’s Rasam Powder and the cooked Toor-daal & boil. Now add asafoetida, coriander leaves, and curry leaves. 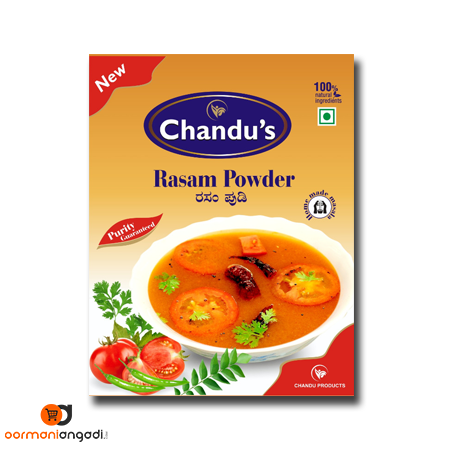 Add green chilies to make it extra spicy, but do not add extra Rasam Powder. Contains no preservatives or artificial colors. Best taste & Best Quality! Order was delivered in time. All the best to team Oormani Angadi.